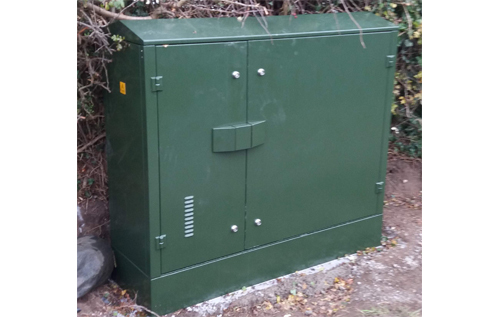 Two new communications cabinets are to be installed at the rear of the footway on School Road, Reepham (2.2 metres left of the existing BT cabinets, 100 mm off the wall), to serve residents and businesses in the immediate area. This is part of the Better Broadband for Norfolk (BBfN) project, which is facilitating the provision of superfast broadband in areas of Norfolk where installation is not commercially viable. No date for installation of the cabinets (ref. BBfN Reepham 11) is currently available; however, the BBfN programme is due to be completed by the end of March 2020. Residents can check to see which BT structure their property is served from and available speeds using the BT Wholesale Line Checker. Search using the Address Checker option, then enter your postcode, press Submit and select the address from the list and press Submit again. Once a fibre solution is available, a “VDSL” option will be shown. Prior to implementation, copper-based broadband speeds are shown as “ADSL”.